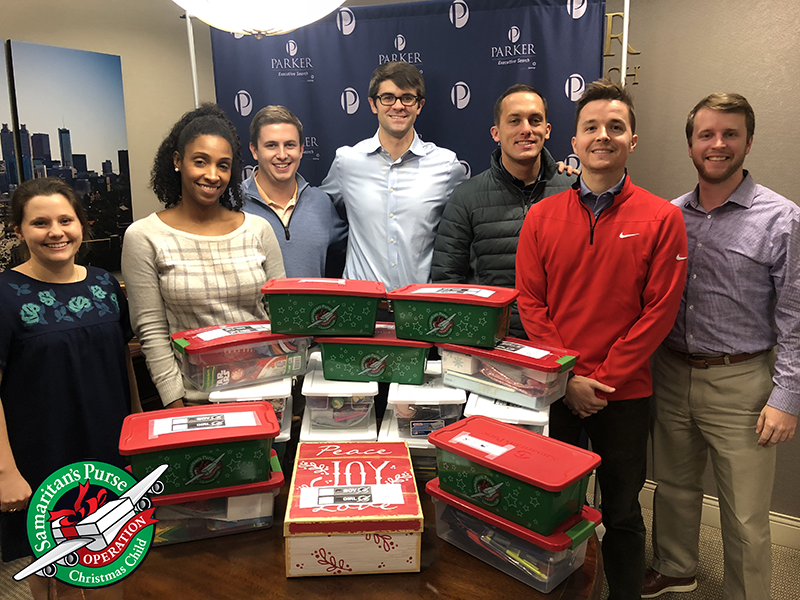 Our team at Parker Executive Search feels blessed to get to work with such amazing clients every day and enjoys the opportunity to give back to those less fortunate. 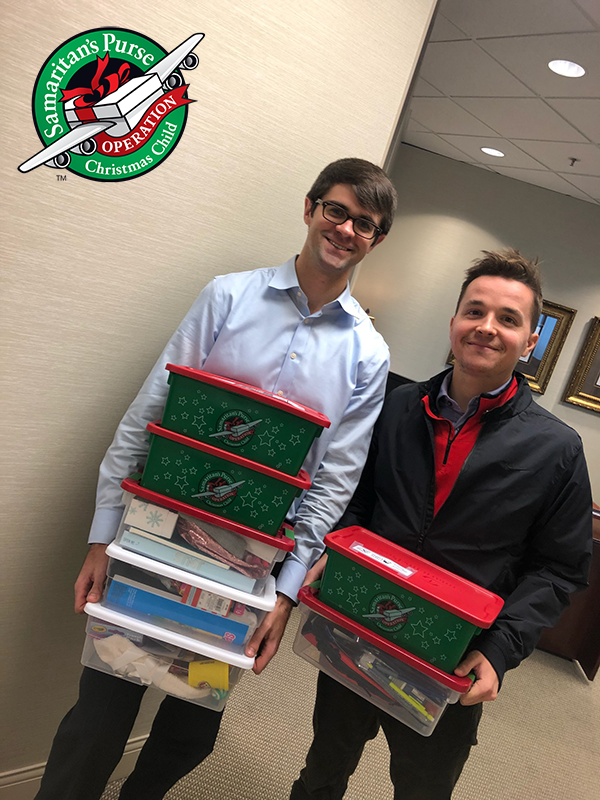 This year, our firm has partnered with Operation Christmas Child to donate toys and personal care items in order to hopefully brighten the holidays for less fortunate kids between the ages of 2 to 14. 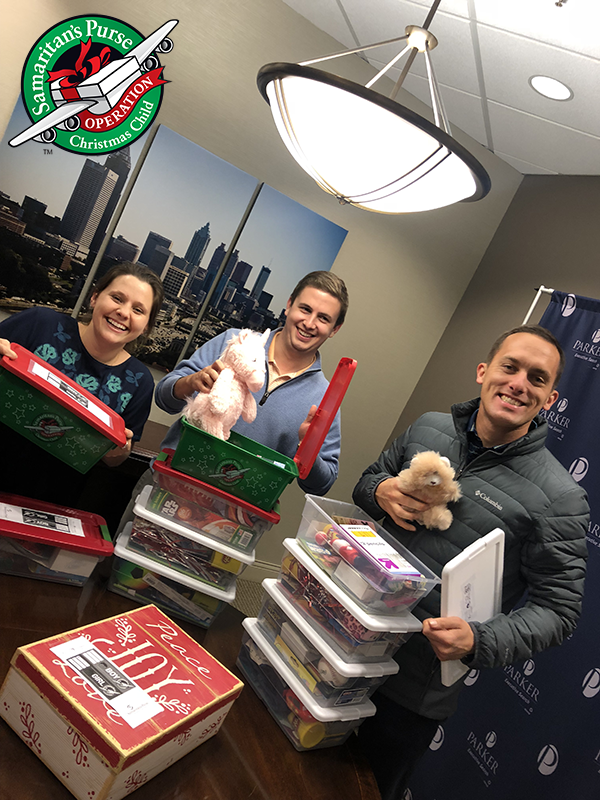 While participation was voluntary but encouraged, our small team combined to pack and send off 19 shoeboxes!